We all struggle with putting from time to time. Usually, we need just a basic refresher in putting alignment fundamentals as opposed to experimenting with a grip change, purchasing a new putter, or reconstructing an entire putting stroke. The majority of missed putts occur due to faulty aim, alignment or swing path. 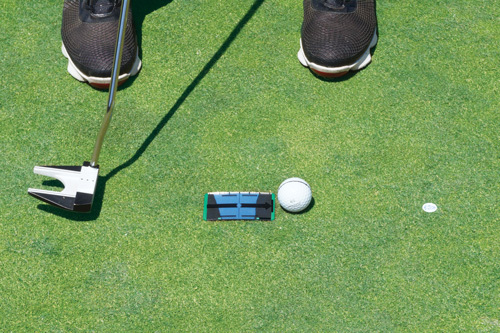 The Pocket Putting Mirror™ addresses all three fundamentals in a simple and effective way. Using the mirror for a few minutes establishes the foundation for a positive putting experience. 2016 GrundGolf. All rights reserved. Patent Pending.